Blackrock Clinic aims for 100% compliance in Hand Hygiene practices. Blackrock Clinic Infection Prevention & Control Hand hygiene Count Me In! Blackrock Clinic aims for 100% compliance in Hand Hygiene practices. 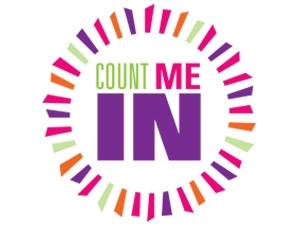 We invite everyone to get on board our COUNT ME IN Campaign. In 2013 we introduced our ‘Count me in’ campaign in Bla ckrock Clinic. This reinforced hand-hygiene information clearly all around the hospital. It is a statement of the hospital’s commitment to achieving 100% staff compliance in hand-hygiene practices. We introduced the campaign by setting up a launch week throughout the hospital. The main launch was at hospital reception where we included staff, patients and visitors. We put up posters, laid floor panels and stencilled wall messages throughout the clinical areas. Every staff member was given a badge and some literature to help spread the message to the patients and visitors.